Jurgen Klopp says he is delighted with Daniel Sturridge, who scored a “fantastic” goal late on to earn the Reds a deserved point against Chelsea. Sturridge’s sensational strike against his former club was the least Klopp’s team warranted on the night, with Mo Salah and Xherdan Shaqiri having also come close. 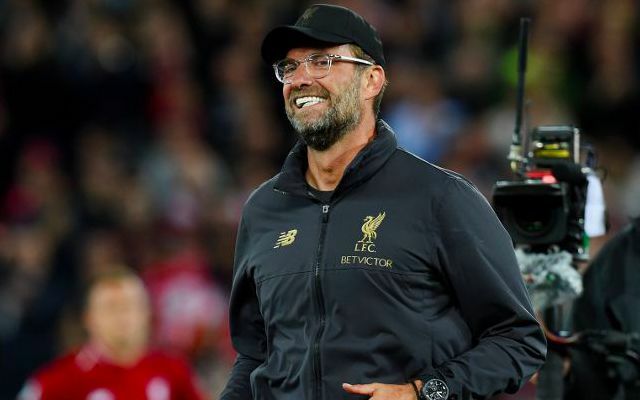 On the goal, Klopp told BT Sport: “It’s so good and so deserved. I’m so happy for him – everybody, when he came in the dressing room, the whole dressing room was dancing. The result was vital in keeping the Reds two points clear of Chelsea and joint-top of the table – well in Studge!